Neglect of the risks posed by used reactor fuel, or spent nuclear fuel, contained in 96 aboveground, aquamarine pools could cost the US economy $700 billion, cause cancer in tens of thousands of people as well as compel the relocation of some 3.5 million people from an area larger than New Jersey, a study released May 20 finds. The National Academies of Sciences, Engineering, and Medicine’s study, ‘Lessons Learned from the Fukushima Nuclear Accident for Improving Safety and Security of US Nuclear Plants,’ is the second installment of a two-part study ordered by Congress on the 2011 Fukushima Daiichi nuclear disaster in Japan. It not only cites, but also outright challenges a 2014 study by the Nuclear Regulatory Commission, the US industry’s regulator and enforcer of safety standards. The spent fuel, The Academies’ study recommends, is safer in dry casks rather than pools, because of the risk of leaks, drawing water away from the irradiated nuclear rods. An accident, terrorist attack or malicious employee all pose greater dangers to the pools, the study says. Aside from calling on the Nuclear Regulatory Commission to offer a better evaluation of the health risks posed, The Academies study conducted by 17 engineers, nuclear physicists and other scientists demands the commission fulfill a 10-year-old promise to put together an impartial review of the surveillance and security policies on spent nuclear fuel. “Nothing in the report causes immediate concern,” Burnell added, although the commission is planning a more formal follow-up later this year, according to The Center for Public Integrity. 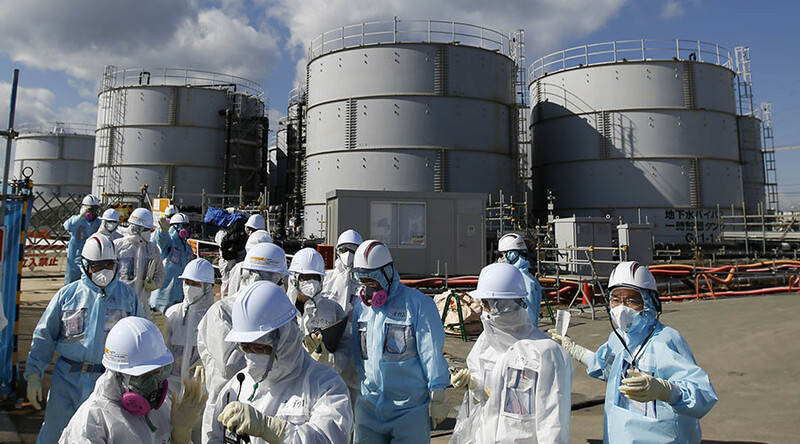 Congress felt compelled to fund the study on Japan’s natural-turned-nuclear disaster to help prevent a similar accident from occurring in the US. On March 11, 2011, the Daiichi nuclear plant in Fukushima was thrashed by an earthquake and tsunami, leaving three reactors without power or coolants, which resulted in their radioactive cores melting down. Pure luck kept the disaster from becoming even worse, The Acadamies found. Instead of Daiichi’s highly radioactive rods being exposed to oxygen, which would have sent over 13 million people packing from as far as 177 miles south in Tokyo, a leak happened to be situated between a fuel rod pool and a reactor core, which sent just enough coolant to keep the vulnerable rods from rising above the water. In the end, 470,000 people were evacuated and the still ongoing cleanup is estimated to cost about $93 billion. The Nuclear Regulatory Commission’s 2014 study put the highest odds of an earthquake happening near spent fuel storage at one in 10 million years, boasting that “spent fuel pools are likely to withstand severe earthquakes without leaking,” while the odds of a terrorist attack or internal subversion were deemed incalculable and left out of any risk assessment. Calling that cost-benefit analysis “deeply flawed,” The Academies panel member Frank von Hippel, also an emeritus professor and senior research physicist at Princeton University, complained that the commission’s study also left out the impact on property contamination in a 50-mile radius of an accident, tourism rates and the economy, The Center for Public Integrity reported. The new analysis also calls for new officially designated risk assessments of safety and financial impacts at the federal level as well as what improvements aboveground dry casks may bring compared to pools. The latter is estimated to cost upwards of $4 billion by the industry.